China’s earnings season has hardly even started and investors are being slapped with hundreds of profit warnings. A state of panic gripped Shenzen’s equity market during yesterday’s session as wild selling dragged stocks in the city to a four week low. Yikes! While a bad quarter was not a surprise, the sheer number of ailing companies was quite overwhelming with many business owners deciding to close up shop, take the financial hit and start afresh, rather than absorb the cost over a number of years. Chinese authorities were quick to jump on the Shenzen flash crash by announcing new regulatory changes to facilitate higher-risk investments as a means of attracting capital into some unloved sectors of its equity market. The regulatory changes, coupled with increased speculation about possible rate cuts, allowed equity prices to recover early this morning. However, with January ranking as China’s worst month in 3 years, investors are worried about a dulled effect of any stimulus measures. President Xi Jinping will really need to use some serious oomph to kick-start growth again in China this quarter. It’s a good thing it has such deep pockets! While China drowned in a sea of terrible economic data, The S&P 500 got busy racking up its best January return since 1987. Talk about polar opposites! 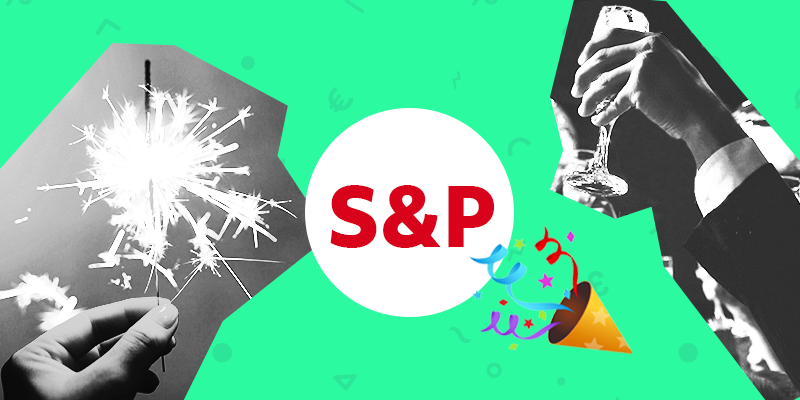 A bumper earnings season for US stocks, coupled with a pause in the rate hike cycle, seems to be an incredible recipe for S&P 500 success, with the index raking in an impressive 8.04% monthly return. Facebook and General Electric helped cap January off on a strong note, rising 10.8% and 11.65% yesterday to boost the index 0.9% on the day. Chief Market Strategist at Natixis Investment Management, Dave Lafferty, described the S&P as being “close to fair value”. He also maintained that the markets are now looking for the next big catalyst to support their recent run of form. With Presidents Trump and Xi Jinping on the cusp of signing a trade deal today, this may be the exact catalyst Lafferty is alluding to. A complete resolution in the feud would undoubtedly buoy global markets as one of the largest sources of political risk is lifted. 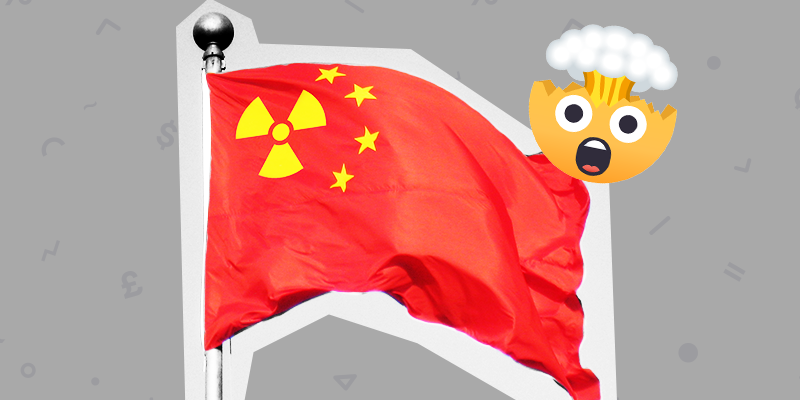 China’s export industry and US tech companies with production and sales exposure to China are likely to be the biggest benefactors of a resolution in the trade war. So make sure your watchlist is prepped to handle any positive developments in today’s talks, it could very well be a serious bonanza! 2. Congratulations To This Month’s Winners! 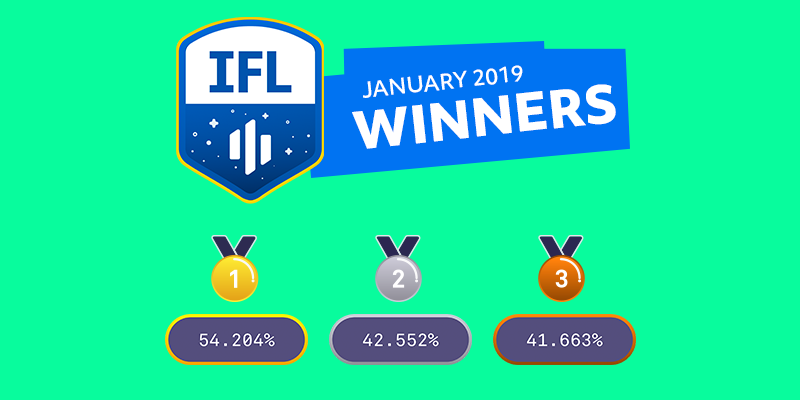 A huge congratulations goes out to our top 3 big winners in the Invstr Fantasy League who pulled in some astonishing returns last month! Incredible results from our unbelievably talented community. Keep up the good work everybody, and get revved up for another fun-filled February with Invstr! 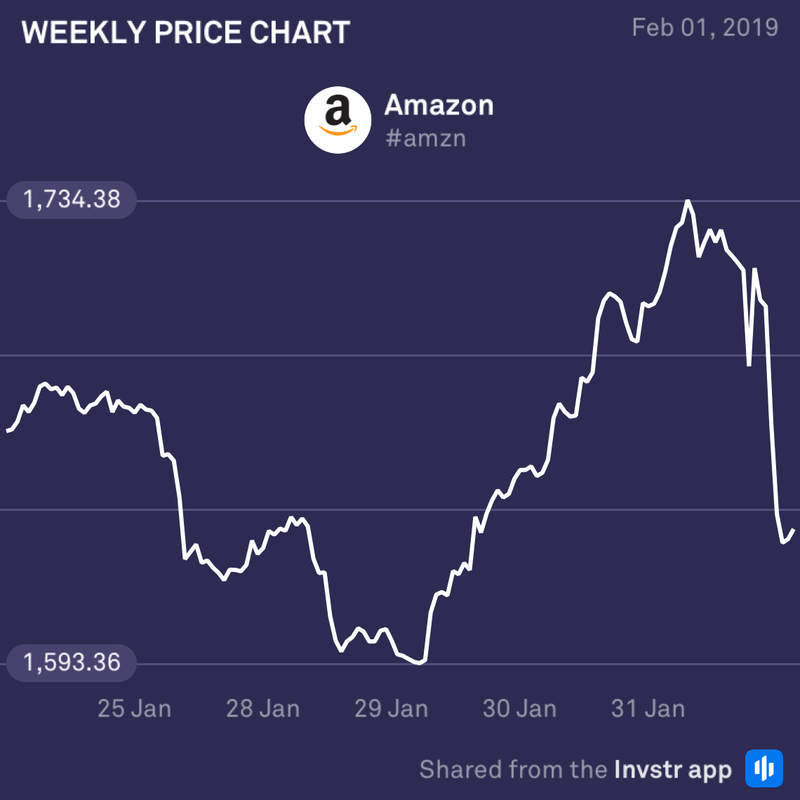 Amazon fell out of bed in after-hours trading last night after it recorded a record profit, but fell short on guidance and general concerns about slower growth and heavier investments in 2019. The share plummeted more than 5% even though its Q4 results were better than expected and a bumper holiday season boosted sales, highlighting investors’ concerns about the company’s future in 2019. February will be an important month for the world’s largest company to regain some stability. 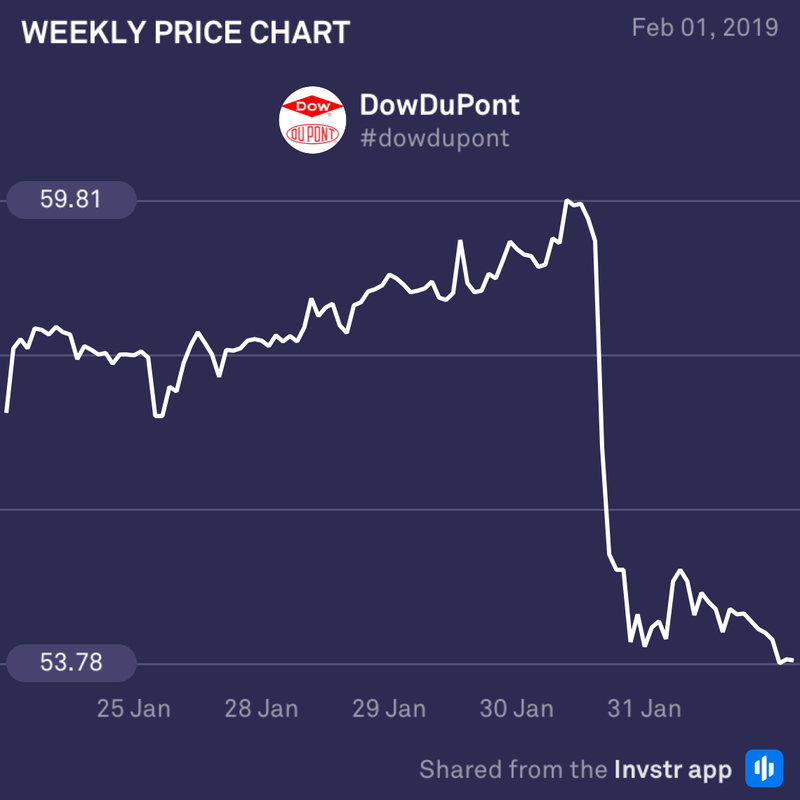 After a strong start to the year, Dow Du Pont completely fell apart, losing 9.23% during yesterday’s session after it missed earnings estimates and provided weak guidance for 2019. Ouch! The company’s results have been impacted by higher raw material and foreign exchange costs and diminishing demand in its auto parts business. Management hopes that dividing the company into three separate parts will help stabilise its share price, but investors remain skeptical about its prospects.